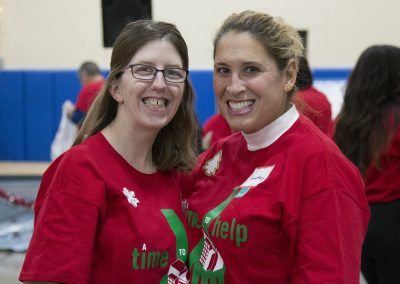 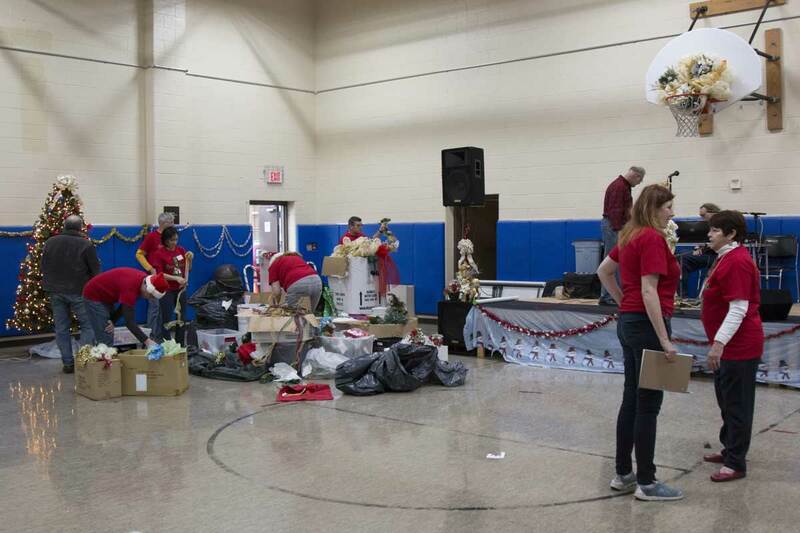 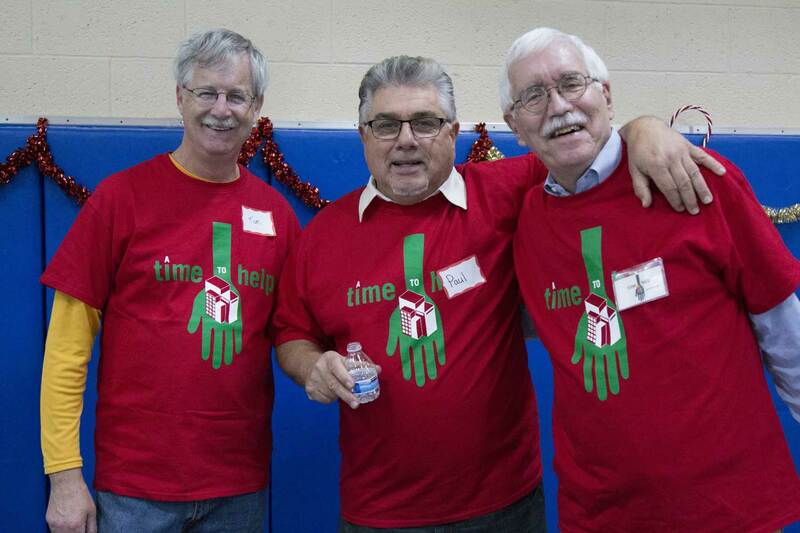 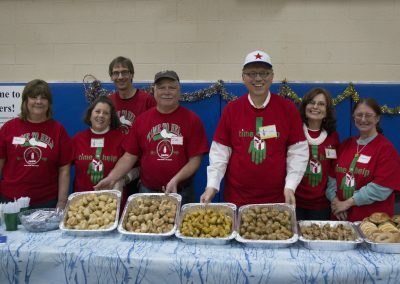 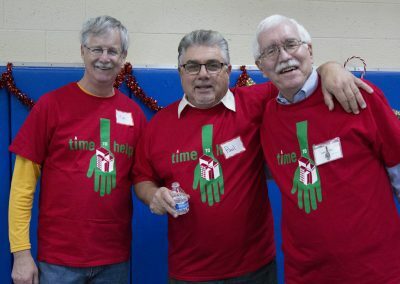 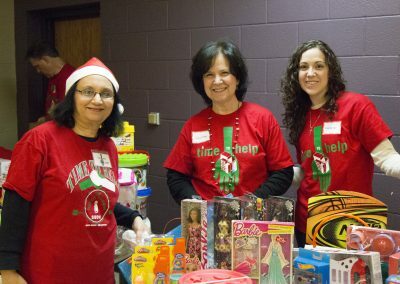 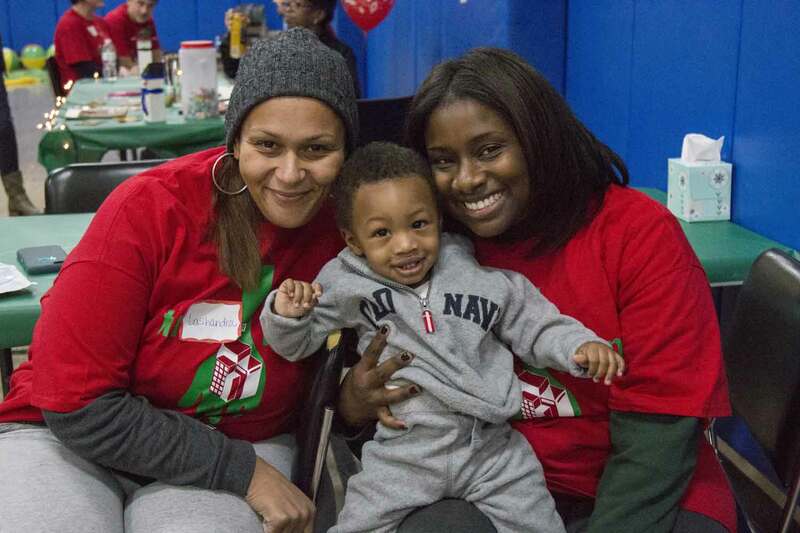 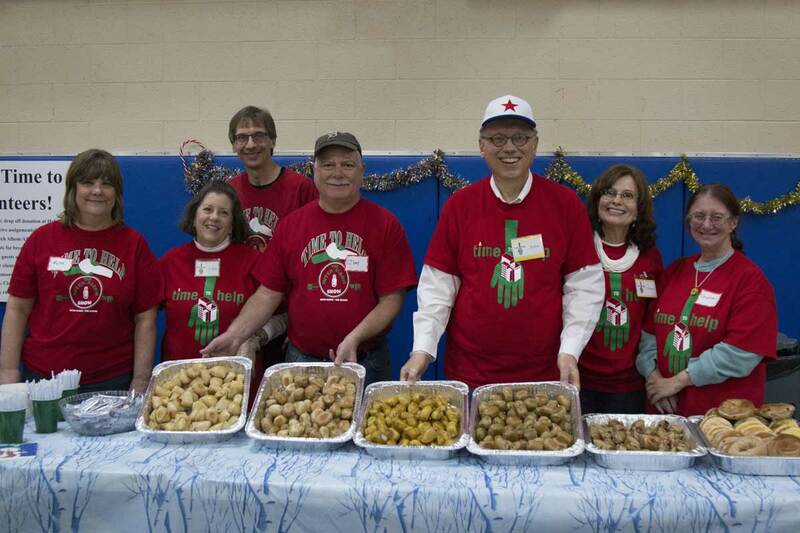 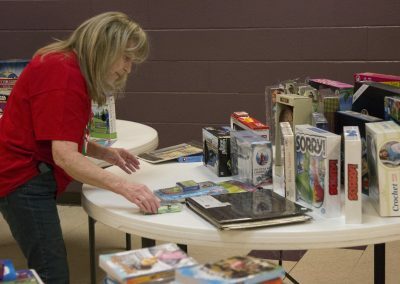 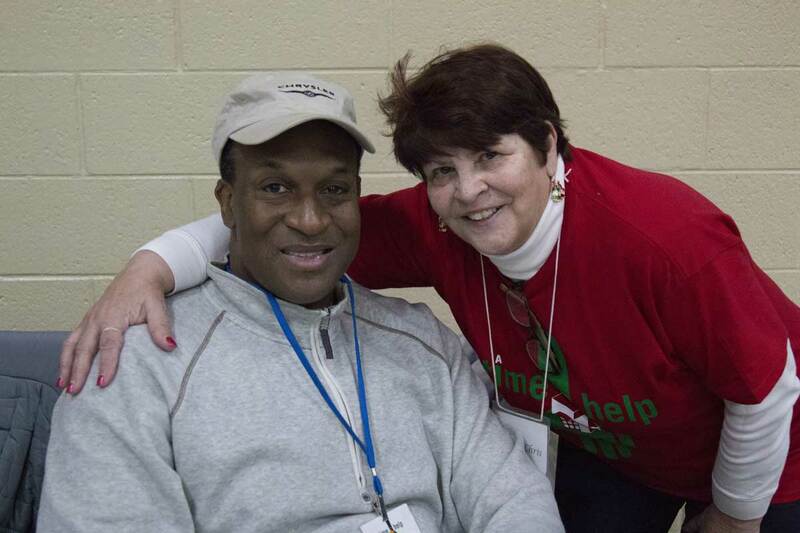 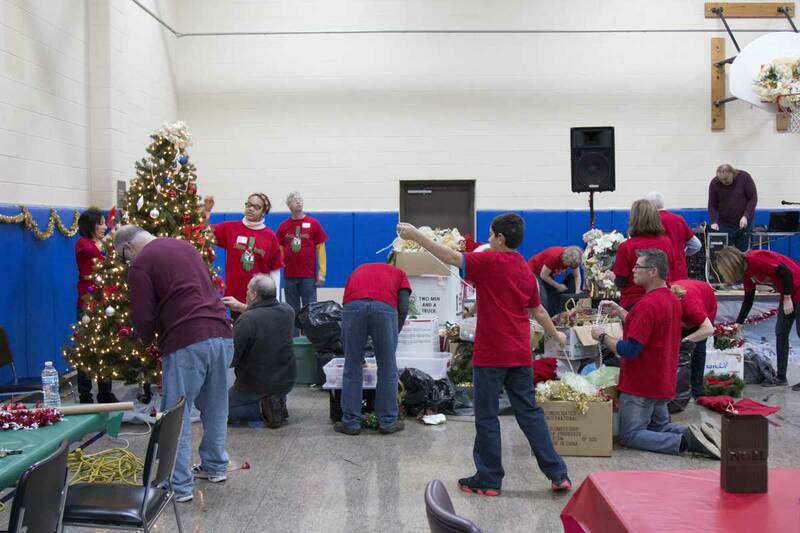 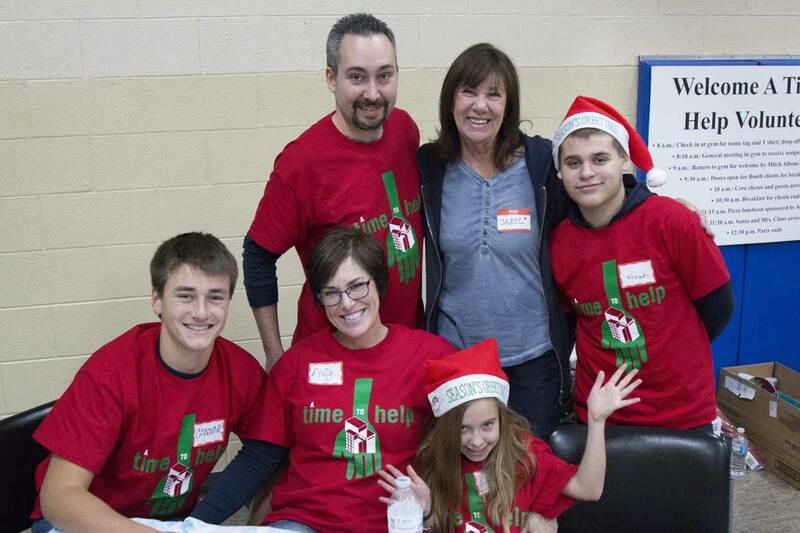 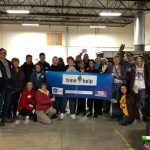 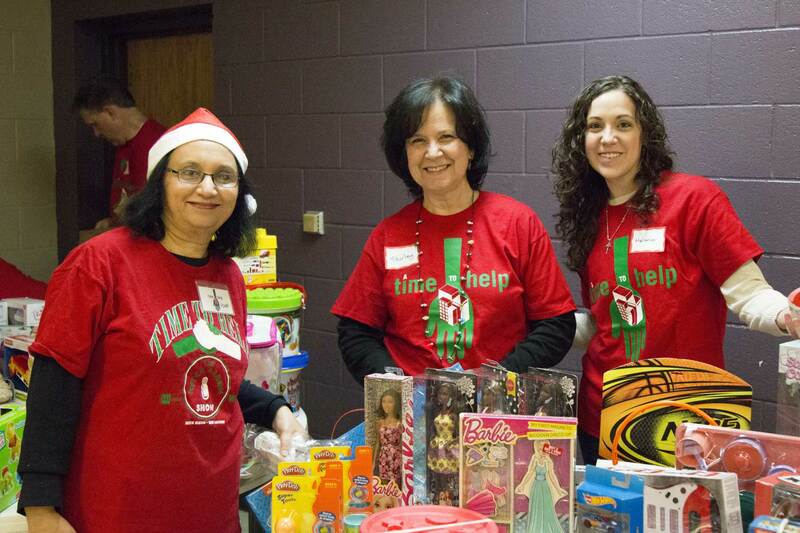 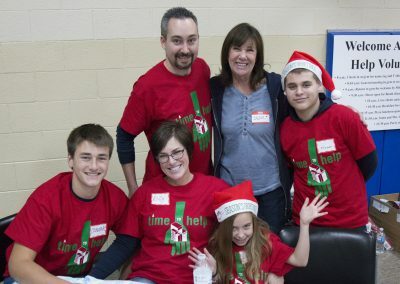 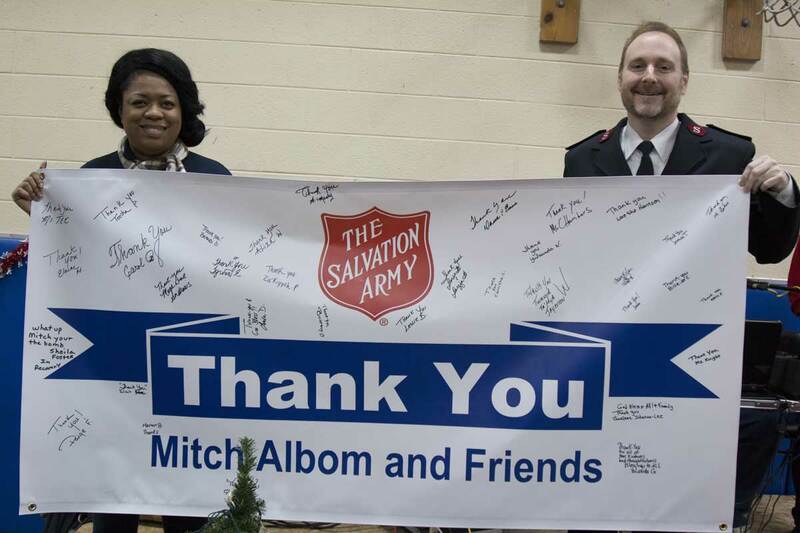 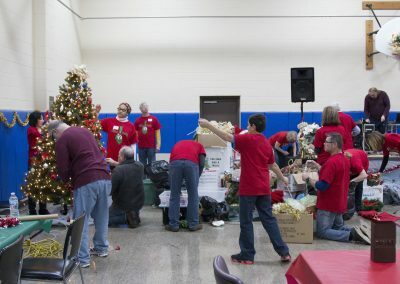 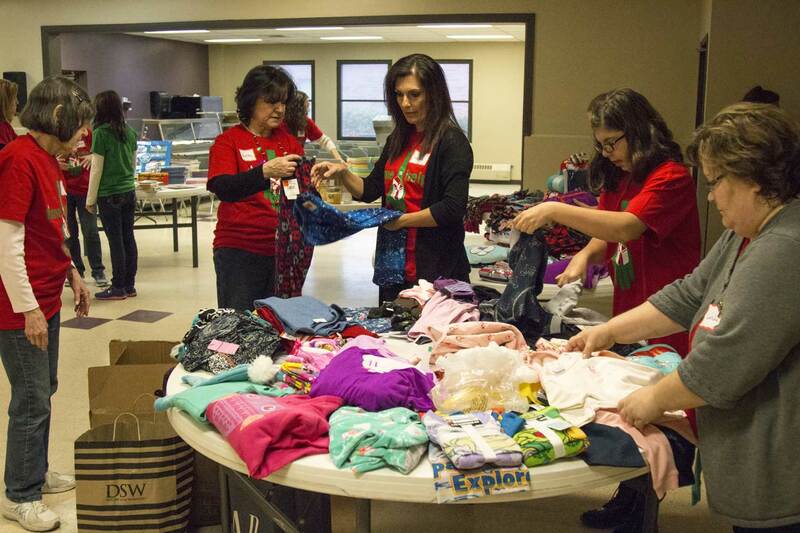 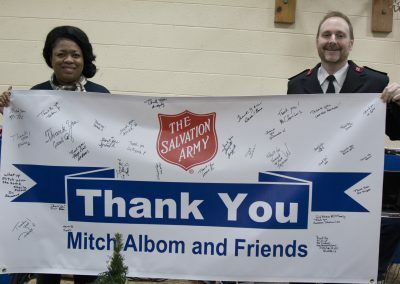 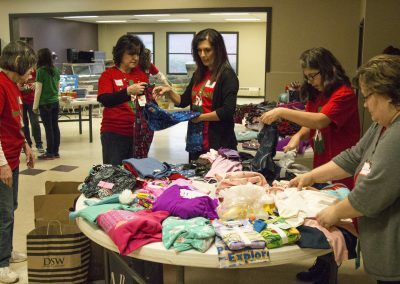 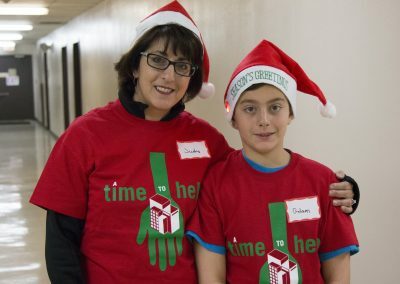 Patty Massman of Macomb Township didn’t know what to expect when she registered for the first time to volunteer at S.A.Y. Detroit’s annual Christmas party to benefit The Salvation Army’s shelter clients and their children. 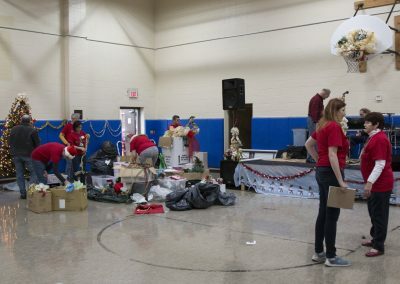 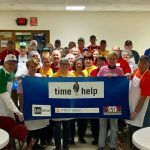 By the end of her morning of service on Saturday (Dec. 3) at The Salvation Army Harbor Light in Detroit, Massman said her family was ready to sign up for next year’s event. 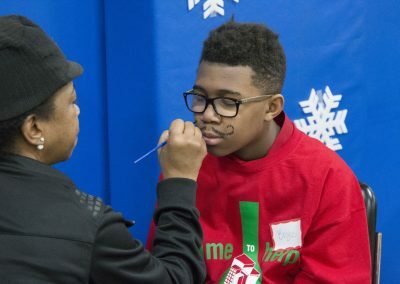 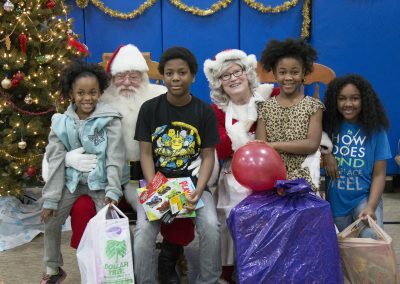 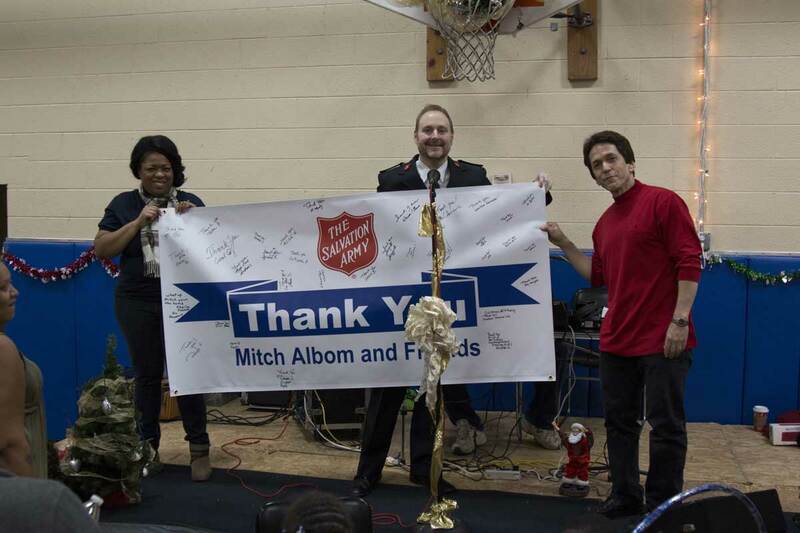 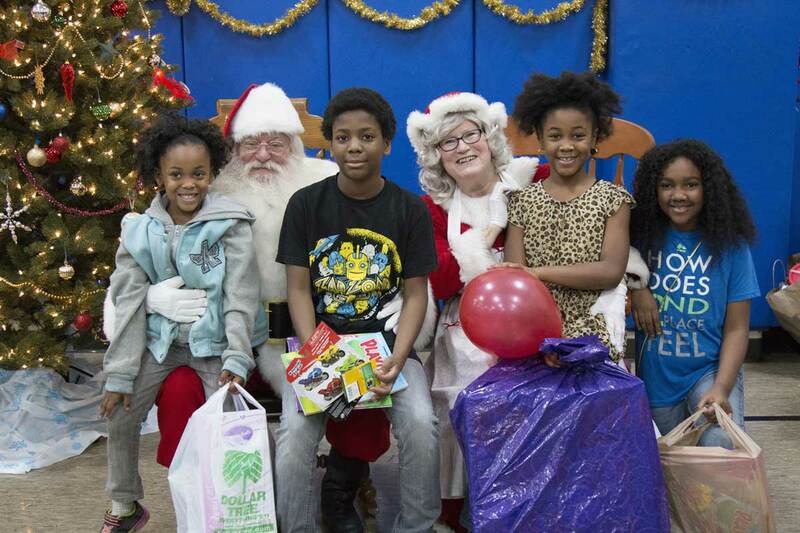 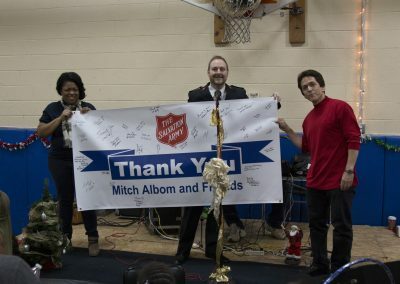 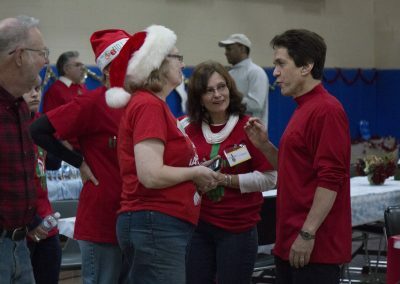 Led by S.A.Y. Detroit founder Mitch Albom — along with Albom’s radio show co-host Ken Brown — more than 100 volunteers gathered at the Ellen A. Thompson Center to help make the holiday special for more than 100 children and their mothers. 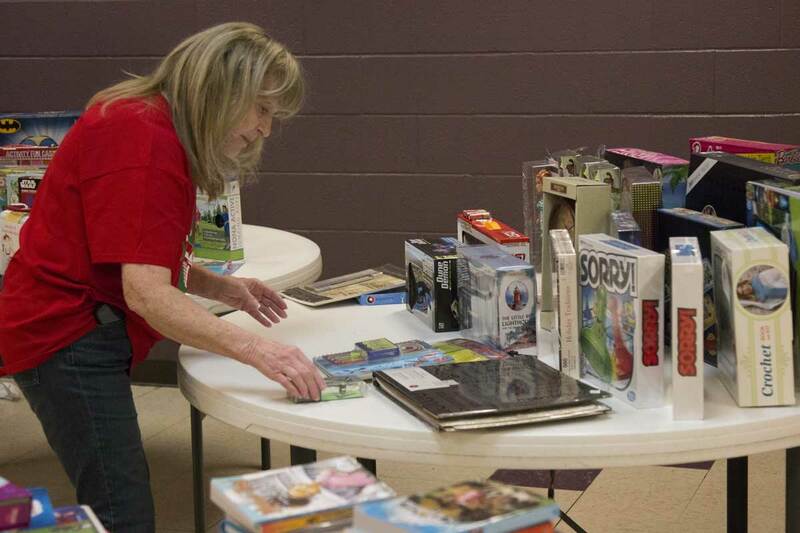 Hundreds of gifts were donated to stock the holiday store (thank you!). 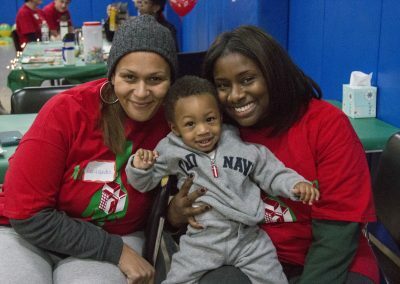 And the volunteer spirit was contagious: Some stepped in to serve the guests two meals (breakfast and lunch), while others helped pamper the mothers with massages and manicures as their children played games, danced, and engaged in other fun activities with other volunteers. 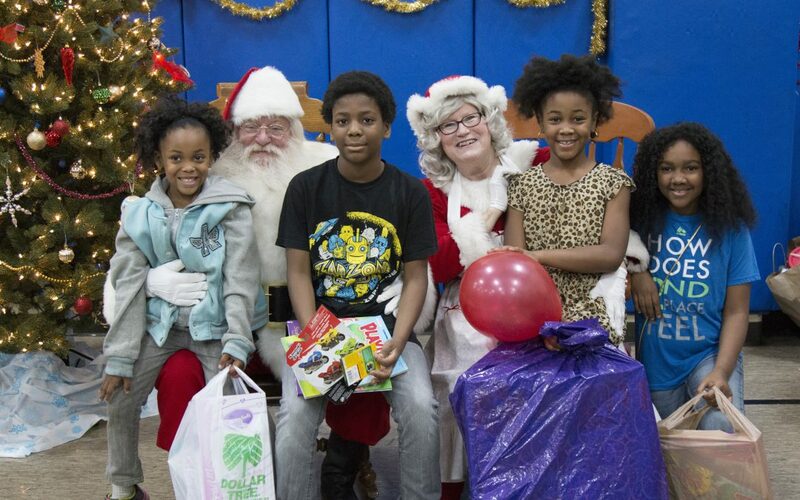 And of course, the highlight of the party was the arrival of Santa Claus and Mrs. Claus. 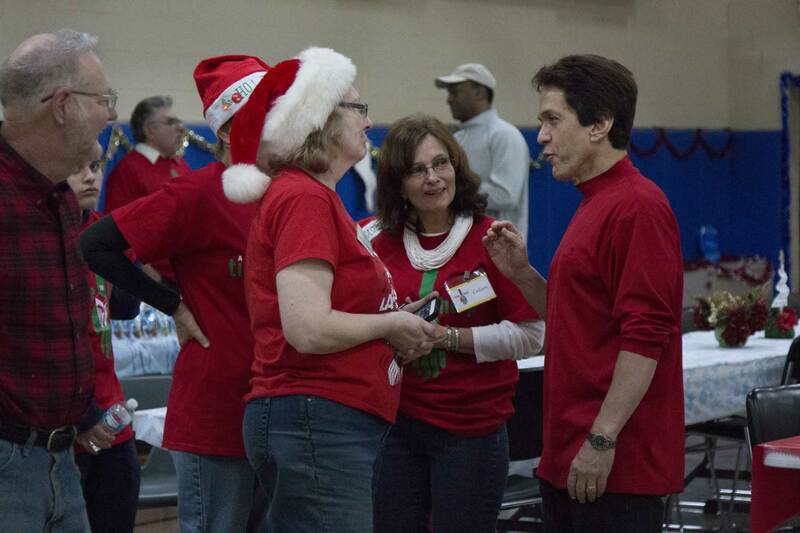 “I’ve volunteered for almost every party since it started in 1998,” said Ruma Barua of Belleville. 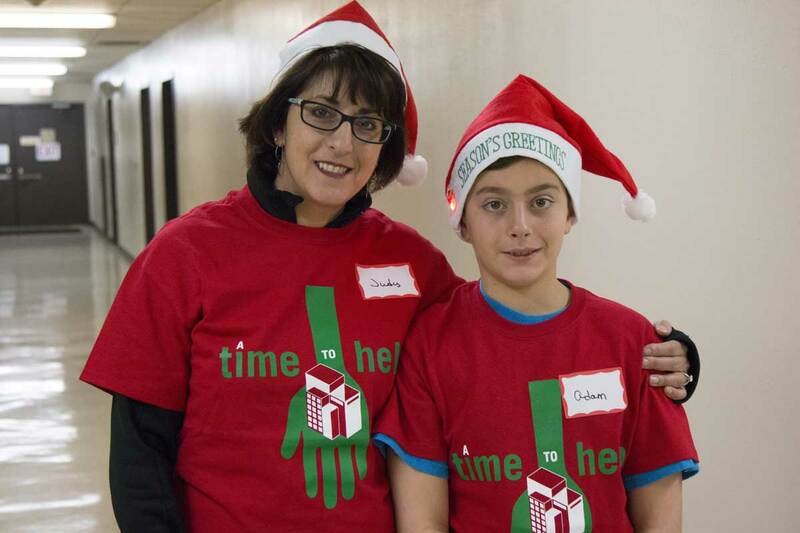 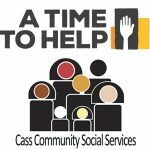 “It started a long time ago when my son was in high school and needed community service hours. 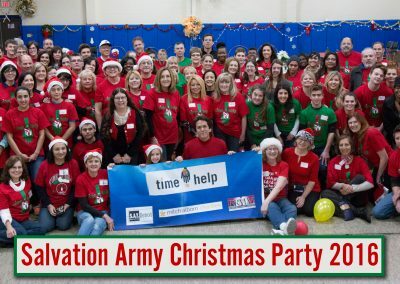 For me, I do it every year because it’s important to give back to the community where you live.